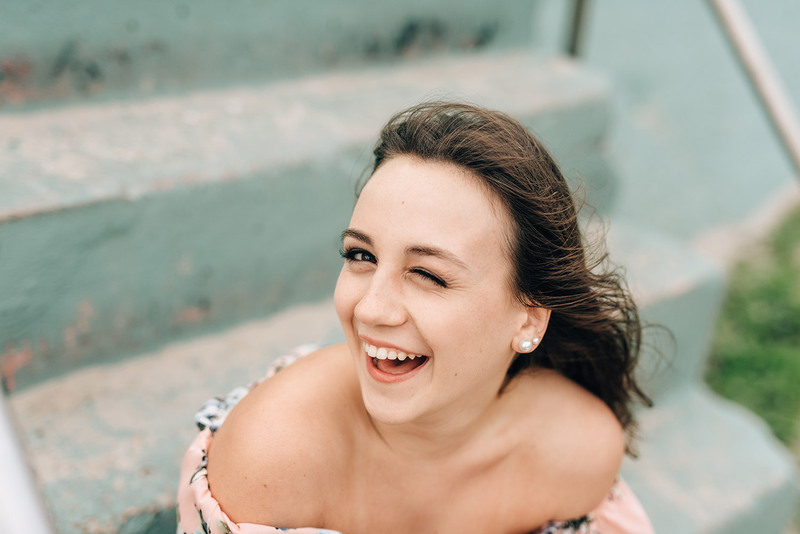 The most important thing about having fun portraits in Galveston is that you have to be able to laugh, whether it’s at yourself, someone else…or me. 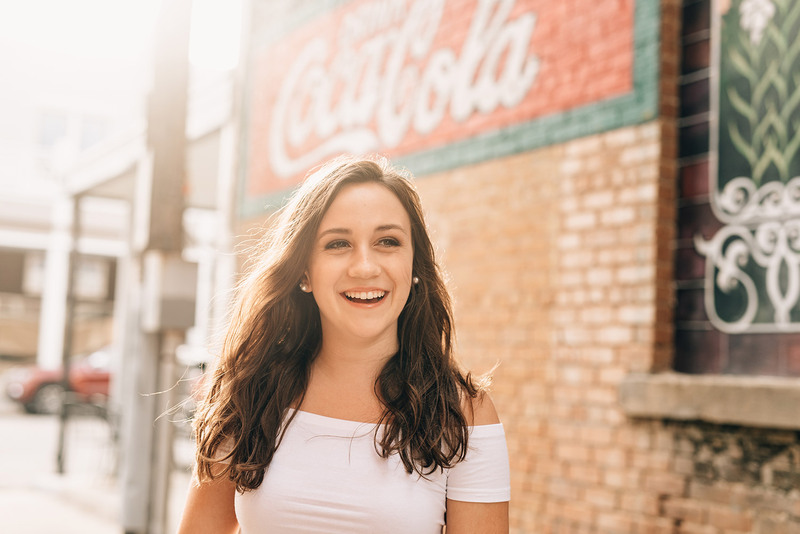 Heather made her senior portrait session so much fun all because of that laugh of hers. She truly has some of the most contagious giggles! Heather really wanted fun portraits in Galveston. She’s not very serious most days, so she was really looking forward to having joyful, fun images. We played around with different looks around the Strand and along the sea wall. Heather is enjoying her fall semester at A&M now. 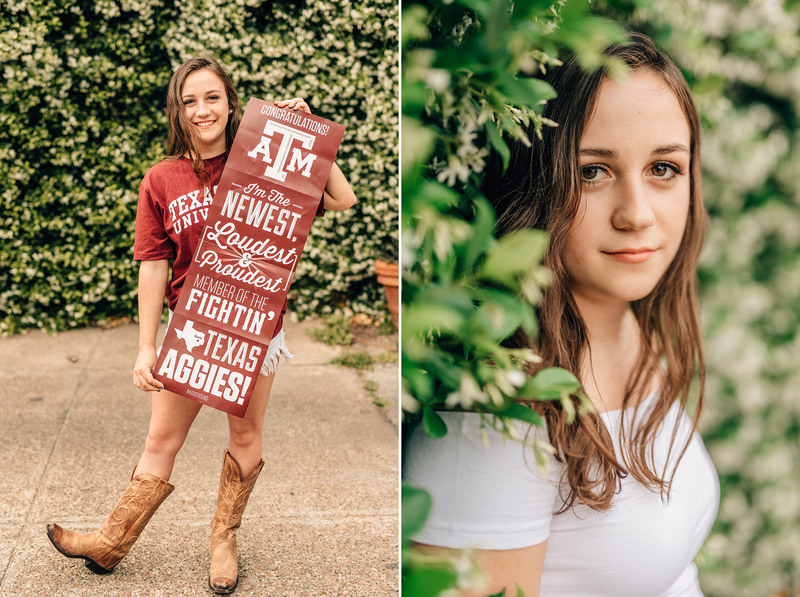 I absolutely love her cowgirl boots in her college announcement picture! Such fun. My favorite kind of photo is finding some leading lines and putting my senior at the end of them. 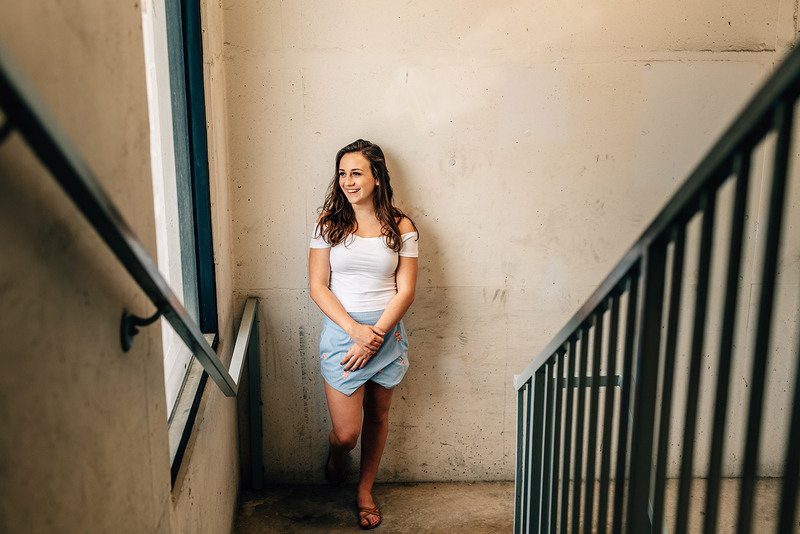 This photo from a stairwell is one of my absolute favorites from this session. Nothing says fun portraits in Galveston like Pleasure Pier! 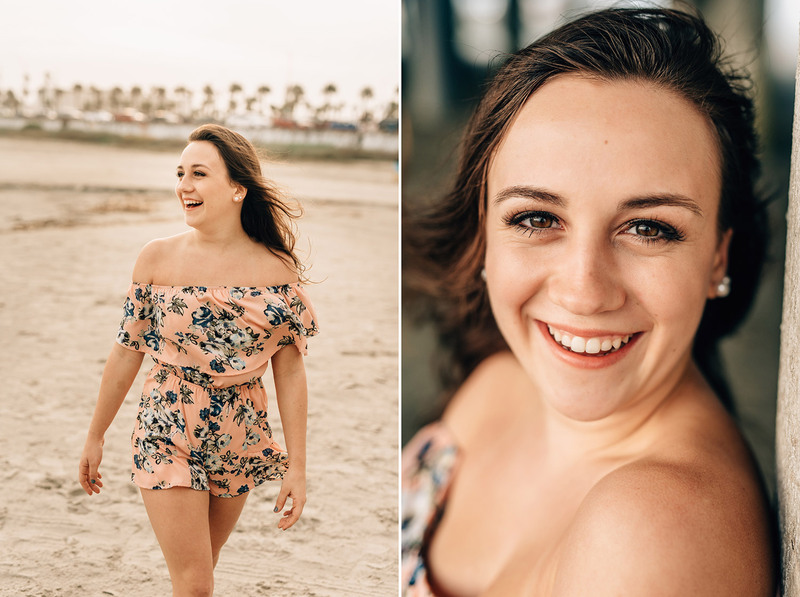 It’s so easy to have fun portraits in Galveston when you’re Heather! Such a cute little romper for Heather. I loved the soft coral tones and sea foam green details. This staircase caught my eye because the greens matched her romper. We had some fun playing around with different looks right by the water. It was a pretty windy day, but we let that wind add some emotion to the images instead of getting us down! Galveston is a great place for fun senior portraits. Reach out if you’d like to set a date for the spring! Simply contact us to get the ball rolling.